I used to love bikes a lot but never taught of looking into the bike and get to know how it functions. But today after I completed my mechanical engineering I know each and every parts and process of the bikes all because of this institution. 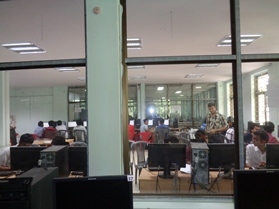 It had a excellent facilities, infrastructure, transportation, faculties, etc. to help me with the learning. Learning was both in practical and theoretical way which was impressive and very understandable for the students to learn. 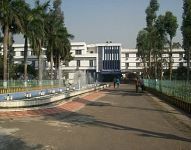 The area of the campus is 185 acres, the best college of Govt.WB for engineering education. Students must clear the JEE main and JEE advanced exam and pass in 12th with mini 75% marks from a recognized board. Efficient faculties are recruited here and all modern teaching methods are adapted. College has started with non-technical branches and mainly 3major festivals are celebrated every year like Arohan, Abhiskar and Recstacy. The fee varies every year, since the institute is funded by World Bank. State scholarships facilities are available. Twelve hostels are available separately for boys & girls where fee is nearly INR 3500 per month. Placement campusing is excellent with the average package of INR 4.2LPA. Are you Interested in " National Institute of Technology, Durgapur"? Please provide the following details.